During this week’s Proven Match blog installment, we’re going to delve into the world of online reviews and take an incisive look at how they affect franchised businesses. There’s no doubt that you’ve heard about the power of social media and its cumulative effects on your brand. In a weird way, it’s metaphorically like radiation. 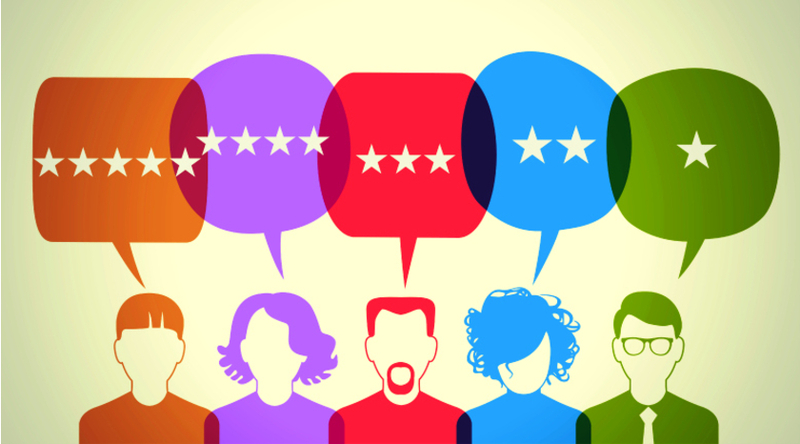 Online reviews can be very powerful, but if left unchecked, can also be poisonous. For those unfamiliar with the most common online review channels, both Google and Yelp deserve a major mention. Both require the user to set up a free account for the purpose of sharing consumer experiences and insights. Here’s an example of the power of these online review sites. Say it’s your anniversary and you want to try out a trendy steakhouse for a special dinner. You could make reservations, show up and eat. Or—as more and more consumers are apt to do these days – you’ll check out their online reviews before making a reservation. Let’s be honest, if the first five reviews on the proposed restaurant’s Yelp.com page had a one-star rating with unsatisfactory comments about the food and service, would you still go? If you answered no, imagine now that you owned the steakhouse. Or franchised business. Yet, does this mean that your franchised business is at the mercy of online reviewers you’ve never met in person? We offer the point of view that it was always this way (word of mouth, anyone? ), it’s just easier and more visible with popular online review platforms. If you have an established franchise location, you may want to do some research on your current online perception. You may see something that requires action in both word and deed. You may see the opposite. Thousands of businesses every day get the proverbial pat on the back or tip of the hat. But keep this in mind—when most people have a satisfactory or even beyond satisfactory experience with a business, they aren’t as likely to go online bragging about it. However, if the customer has a negative experience, they are much more likely to break out the “poison pen” and expound upon it—sometimes in great detail. So what’s our advice? You don’t have to be obsessive about your online review image, but you do need to be actively involved and engaged. You can learn so much from what people have to say about your business, if you’re willing to listen and contemplate the very perceptions you’ve been assigned. Here’s an exercise. Look up your competitors in the marketplace on Yelp and Google. Spend a little time reading up on what their customers say about their businesses. Then review your own and compare. Do you see any takeaways? Anything that could possibly give you an edge? Set aside a little time each week to monitor your reviews—and theirs—and use that information to get a read on your customers and their perceptions. You may be asking, but how should I interact if something requires an actual response? We say, with all of the grace and patience as you’d use if they were standing right there in front of you. If a customer has registered an online complaint, react and respond like an adult and a franchise owner who wants repeat business. Consequently, if you get a positive review, be gracious and strive to emulate the success that drove the agreeable experience. With just a minimum of effort, you’re going to learn more about your customers and the way you do business directly from their own written words. As a franchisor, knowing which existing and potential franchisees best fit your business concept and standards can help you avoid negative reviews all together. Proven Match is the proven solution in determining those factors. Through our proven behavioral assessment techniques, predictive analysis becomes predictive success for your franchise concept. If you’re ready to show your leadership by getting started, give us a call and we’ll put you on the path to a more productive year in 2016.